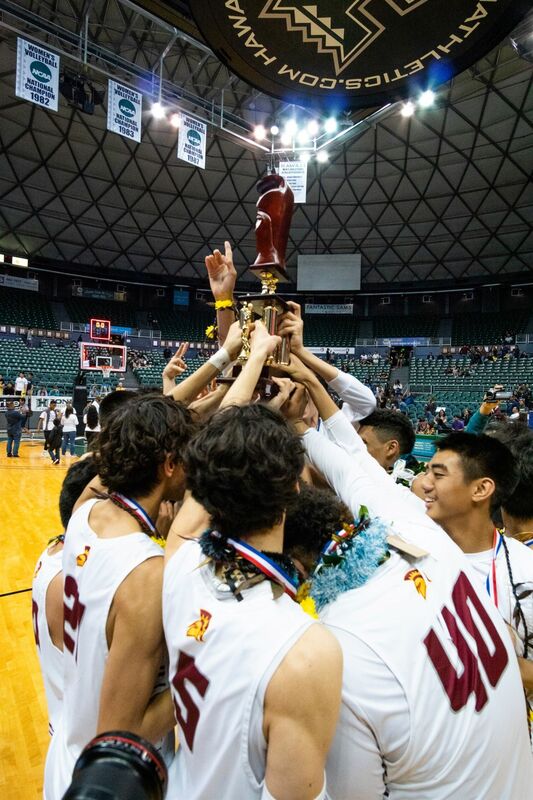 Last night’s state championship win meant a little more to one Spartan family in particular - The Grant Ohana. Head coach Kelly Grant ‘84 was on the last championship winning team in 1984. Last night, it was his son and senior guard Payton Grant ‘19 that helped lift our spartans to their latest championship! Way to go Kelly, Payton and Parker ‘22, and the entire Grant family! 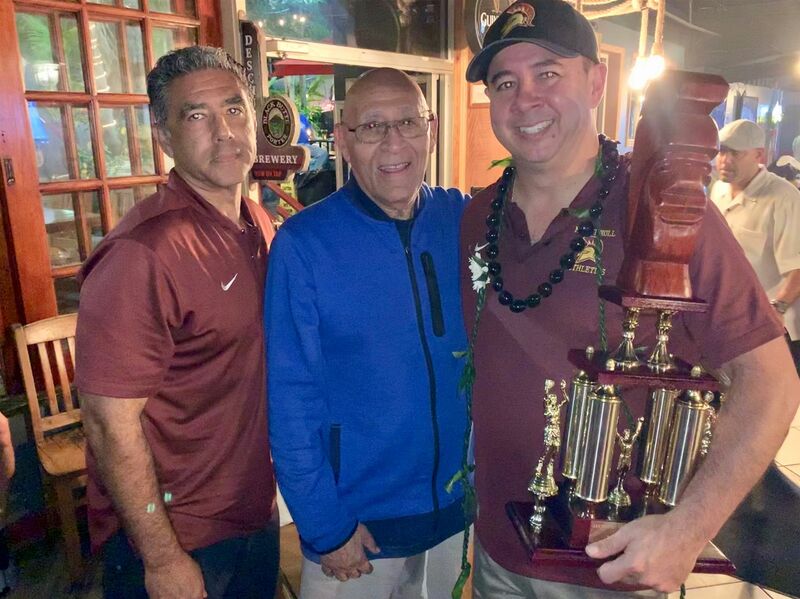 Two of his former players, current athletic director Ben Valle ’84 and current boys varsity head coach and teacher Kelly Grant ’84, celebrated our 2019 Boys Basketball Division I State Championship title with Coach Sellitto last night. 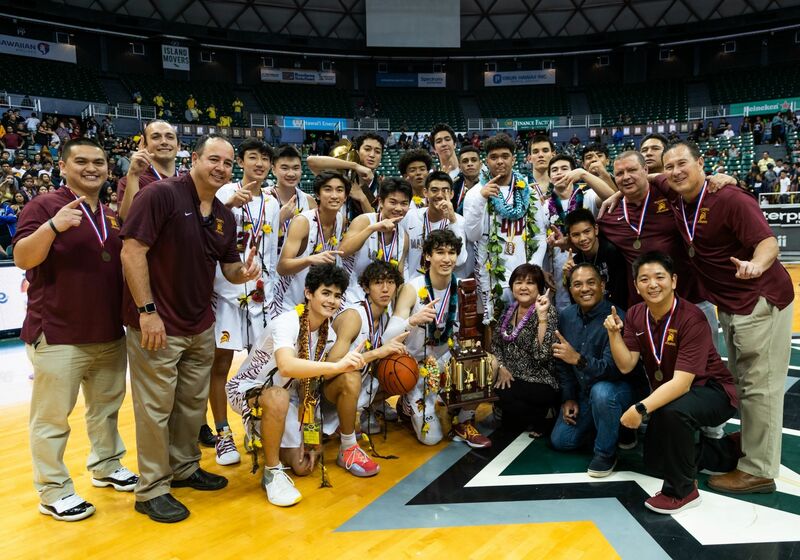 Mahalo to you Coach Sellitto for all you’ve done and continue to do for Maryknoll School and our Spartan athletes! We’re so blessed to have you as a member of our school community! Mahalo to everyone that made this season memorable and exciting. 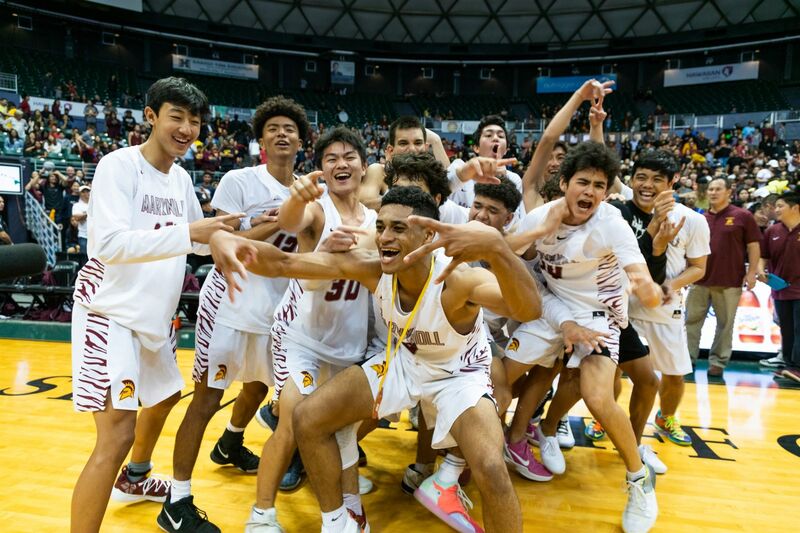 We look forward to your continued support of Maryknoll School and our Athletic Program!